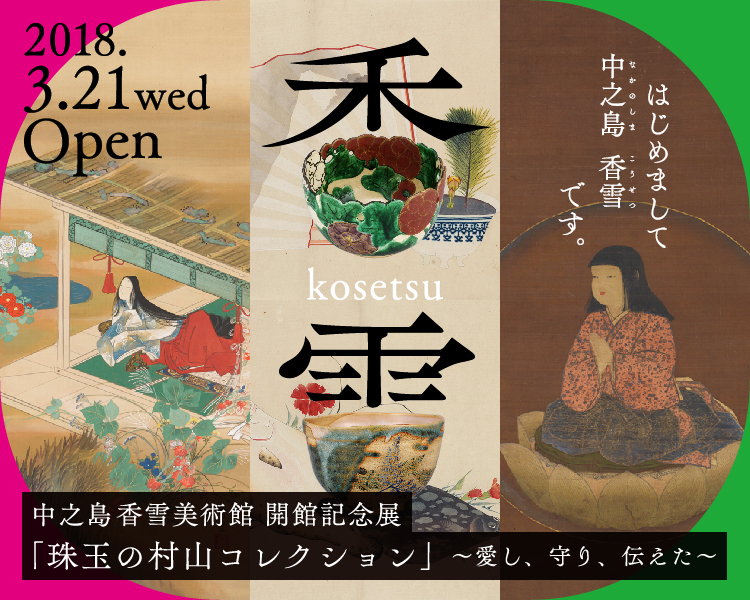 In commemoration of its 45th anniversary, the Kosetsu Museum of Art marked its inauguration the Nakanoshima Kosetsu Museum of Art on March 21, 2018. This is the Museum’s second exhibition venue, after its first venue in Mikage, Higashinada-ku, Kobe. The Kosetsu Museum of Art houses Japanese and East Asian antique art objects collected by Murayama Ryohei (1850-1933), the founder of the Asahi Shimbun newspaper. The diverse collection includes arms and armor, Buddhist art works, calligraphy, early modern paintings and tea ceremony implements, and informs us of Murayama’s enthusiasm for preserving irreplaceable cultural assets and conveying them for future generations. Mondays and during the New Year’s holiday period. *The museum opens on Mondays that fall on national holidays, and is closed on the following day. The museum also closes during exhibition installations. 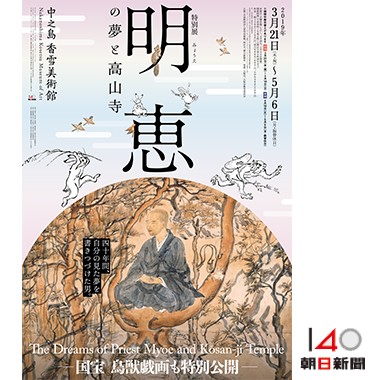 As the price varies depending on the exhibition,please see each exhibition page. *All information current as of December 2017 and subject to change. “Kosetsu” is a sobriquet of Murayama Ryohei, the collector of the majority of objects in the museum. Murayama was born in 1850 in present-day Mie Prefecture. He founded the Asahi Shimbun at age 28 and developed it into one of Japan’s leading daily newspapers. He also had a deep appreciation of art and helped manage Kokka, an art periodical founded by Okakura Tenshin. After Japan’s opening to the outside world, many precious works of art began to be taken out of the country, and Murayama put his energies into creating his own collection as a means of stemming the tide. 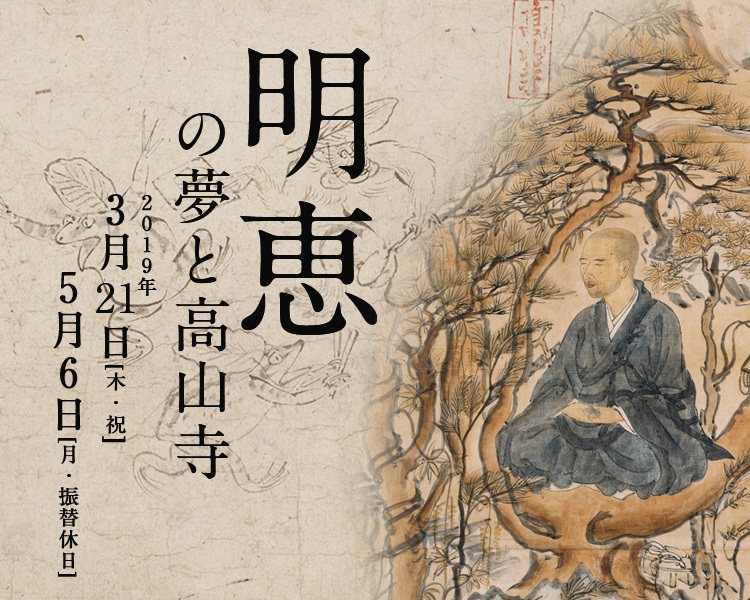 After Murayama’s death, there were calls to create a museum from his collection in view of its great academic and artistic value, and in 1972 the Kosetsu Museum of Art was established. The museum has been open to the public since the following year in Kobe’s Mikage district: The Museum preserves, and conducts research relating to, art objects as well as the Former Murayama Residence, which has been designated as an Important Cultural Property of Japan, and offers a wide range of cultural experiences to the public, including the tea ceremony.The newly-opened Nakanoshima Kosetsu Museum of Art and Kosetsu Museum of Art as a whole will strengthen their activities to preserve and display these precious cultural assets for future generations. The Former Murayama Residence is a nationally-designated Important Cultural Property. One of the structures on its premises is the Gennan Tea House. An exact 1:1 reproduction of this tea house is a permanent exhibit at the Nakanoshima Kosetsu Museum of Art. The exhibit reproduces not only the tea house but also its surroundings, a first for permanent exhibits of tea houses in Japan. The exhibit was planned and supervised by Masao Nakamura, chairman of the Kyoto Traditional Architecture Association. Construction was carried out according to traditional methods by Yasuimoku Komuten Carpentry, which was founded in 1688. Reproduction of the surroundings was supervised by Nakane & Associates garden research and landscape consultants. The exhibit is the fruits of traditional craftsmanship and spatial depiction through modern image and lighting technology. A selection of precious exhibit items along with a large-format chronology and explanatory panels profile the life of Murayama Ryohei and explore the history of Nakanoshima, where the Asahi Shimbun has its roots. Copyright © KOSETSU MUSEUM OF ART. All Rights Reserved. Unauthorized reproduction, use, or distribution of images and text on this website is prohibited.